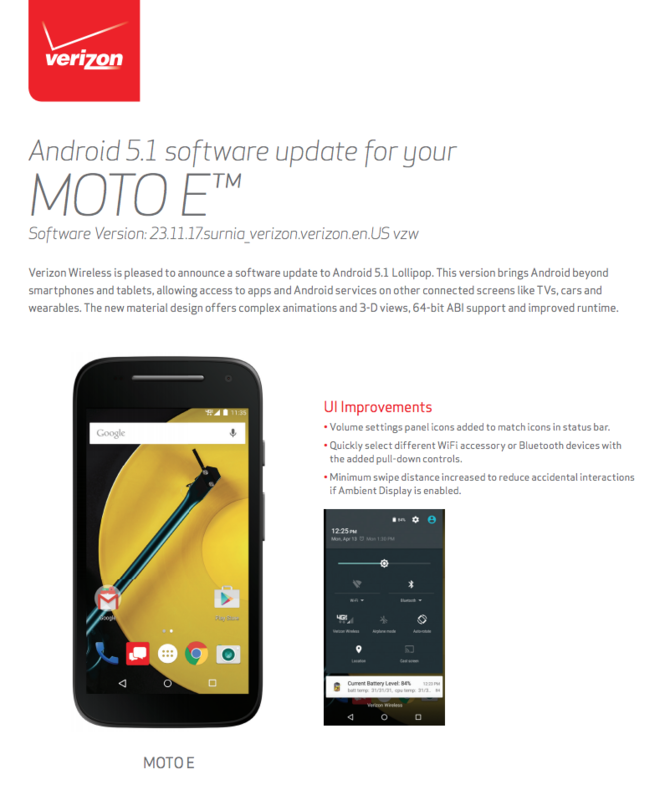 Android 5.1 is rolling out to a Motorola device on Verizon! 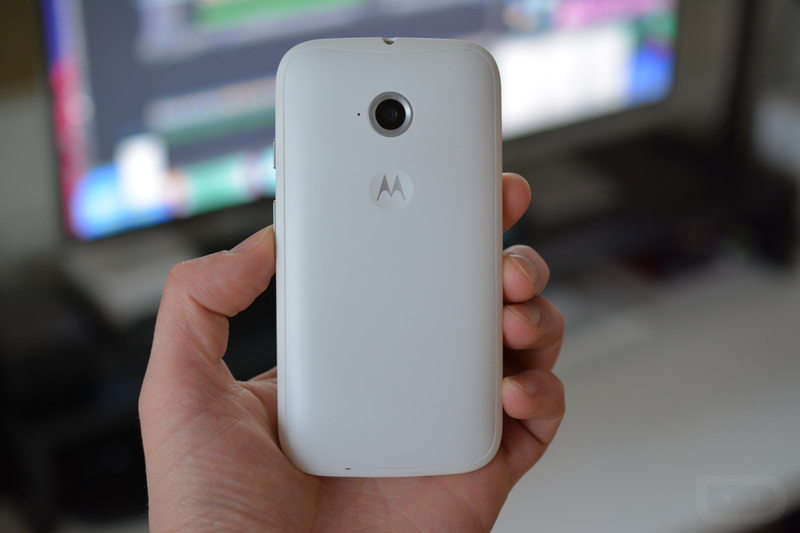 Yes, the Moto E (2nd gen) is now receiving the update! It might not be the Turbo or MAXX or other flagship-level phones receiving the goods, but hey, at least something is getting it. The update, according to one of our readers, is arriving in two parts as build 23.11.17. The update improves some UI elements, like easier choose and connect for Bluetooth and WiFi in the quick settings pull-down. 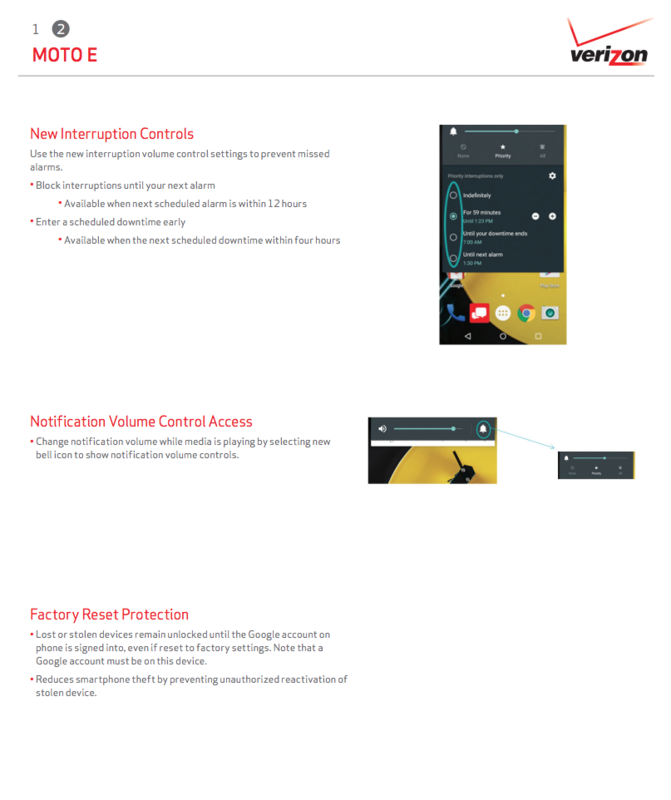 The “Interruptions” controls are also tweaked slightly and Factory Reset Protection has been added. The update should be rolling out now, so head into Settings>About phone and try to grab it.